Let’s face it, even if we’ve been briefed about the things that we need to know about life overseas, sometimes, things can get so overwhelming that we just seek immediate help from whoever we think can offer us help. And where better can we seek help than from our very own Philippine Consulate here in Dubai. With the many services they offer to nationals, we are sure that they are prepared with solutions or pieces of information (at least) to help us in our situation. 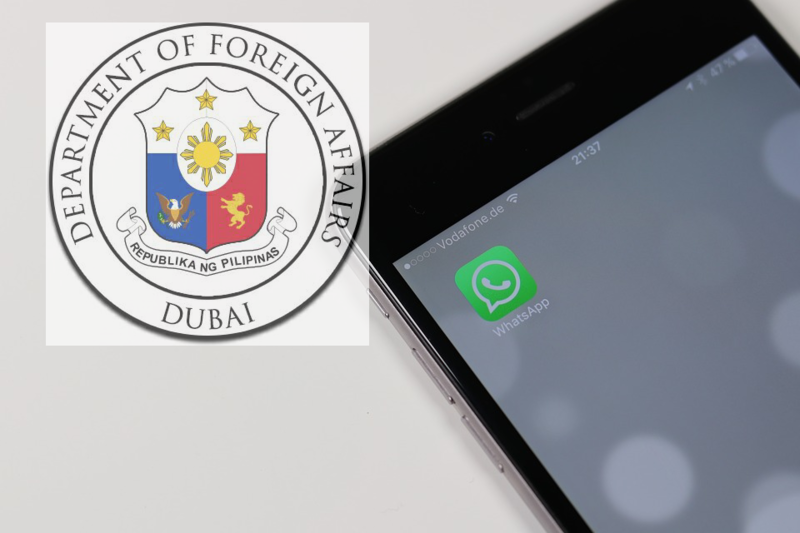 In its bid to address the concerns of Filipino expats living in the UAE, the Philippine Consulate in Dubai recently announced its latest line of service, a new WhatsApp hotline. As of February 4, Filipinos based in the UAE can contact the Philippine consulate via 056-417-7758, as announced on the Philippine Consulate in Dubai’s official website. According to the announcement, the hotline will be available from Sunday to Thursday between 8 am to 5 pm, except on legal holidays. Furthermore, as per the announcement, the messages received over the weekends, after 5 pm or during holidays will be answered the next day. This will be a big help to all Filipinos living in the UAE because not only will contacting the PCG in Dubai be more convenient and accessible, it’s also going to be simple and free of charge. All you need to do is to store the Consulate’s number on your phonebook and send them a message via WhatsApp if you have any concerns or queries (i.e. announcements that you would like to verify) related to OFW life in the UAE. However, also be careful when using WhatsApp because there have been recent reports about scams through the said app. Always remember to keep your information and data private, when in doubt, call the person you are communicating with instead of simply just texting them to verify their identity through their voice and such.